A tragic accident has killed two Albanians in Italy, while another person remained injured. 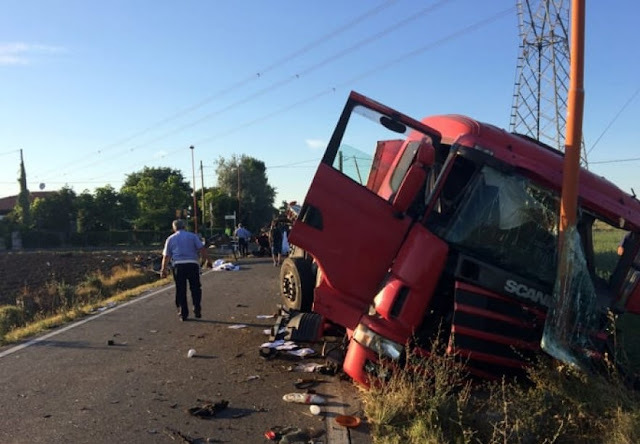 As Cezena Today reports, the accident happened today at around 18:00 at the intersection of "Melona" and "Capannaguzzo" highways in Cezena when two vehicles, a van in which three Albanian workers and a truck, in which two other people were traveling. While the victims are both Albanians, 37-year-old and 39-year-old, the media have not yet published their identity.